Visit our office and meet one of the finest dental teams around. We create beautiful smiles in a comfortable and state-of-the-art environment. 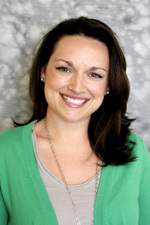 Louise joined our practice in 2005 after graduating from NHTI with a degree in Science / Dental Hygiene. In her spare time she enjoys outdoor activities, cooking, music, dancing, having fun and traveling. Louise has a gift of laughter that is contagious amongst the staff and patients! 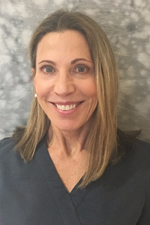 Denise Tousignant originally joined our practice in 1994 after graduating from the University of Medicine and Dentistry in New Jersey, with a degree in dental hygiene. Born and raised in NJ, she moved to Maine in 1989. In her spare time, she is furthering her education in psychology. She is a certified Kripalu yoga teacher and has a daughter attending college. Sharon joined our practice in 2005 as a dental assistant and continued her education, earning her degree in dental hygiene from NHTI. Sharon is also licensed in NH to administer local anesthesia. She enjoys educating patients to better understand and achieve excellent oral health. Sharon lives in Dover with her husband and two children. Ali joined our team at the end of the year in 2012. She graduated from NHTI in 2012 where she earned her associates degree in dental hygiene. Ali is passionate and energetic about providing oral hygiene care. 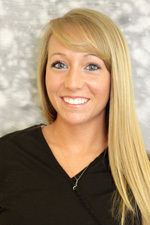 She is also one of our dental assistants. In her free time she loves spending time in the sun, hiking and playing soccer. Jessica joined our team in 2016, after receiving her certificates in dental assisting, CPR, and First Aid. Since then she has obtained her radiography license from Boston University. 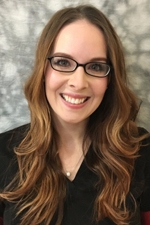 Jessica likes to help educate our patients, and help them achieve their goals for a healthy smile. Jessica is very energetic which allows her to keep up with her very active daughter, and two dogs. When she is not working she enjoys cooking, boating, and spending time with the people she loves. 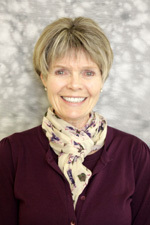 Leslie Weeks, Insurance and financial coordinator, has been with the practice since 1994 and has been in Dentistry for 37 years as an assistant and front desk personnel. 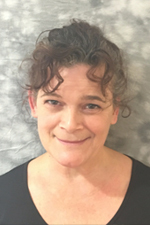 Pam joined our practice in 2000. She is the first person that our patients see and enjoy her warm welcome and beautiful smile. She has the ability to make all feel comfortable and has enjoyed her many years of customer service. Pam is married to Mike, has 3 sons, a daughter, and a beautiful granddaughter. She enjoys spending time with her family, friends and loves the outdoors. 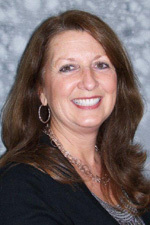 Janet Gagne joined the practice in 2003. She got her assisting certification from YCCC and Radiology certification from USM in 2003. Aside from enjoying time with family and friends, she enjoys gardening and spending time with her beautiful grandchildren. 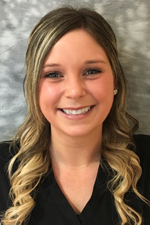 Megan joined our team in 2015 as a dental assistant, and front desk personnel. She received her radiology license from Tufts University of Dental Medicine, and is CPR certified. 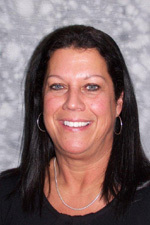 She takes pride in assisting patients, both with their scheduling, and clinical needs. When she's not working, Megan enjoys perusing hobby lobby, hiking with her fiance' and their dog. She enjoys spending time with her family, and is currently planning her Bermuda wedding for September 2017!